Use the checkboxes to select a function. 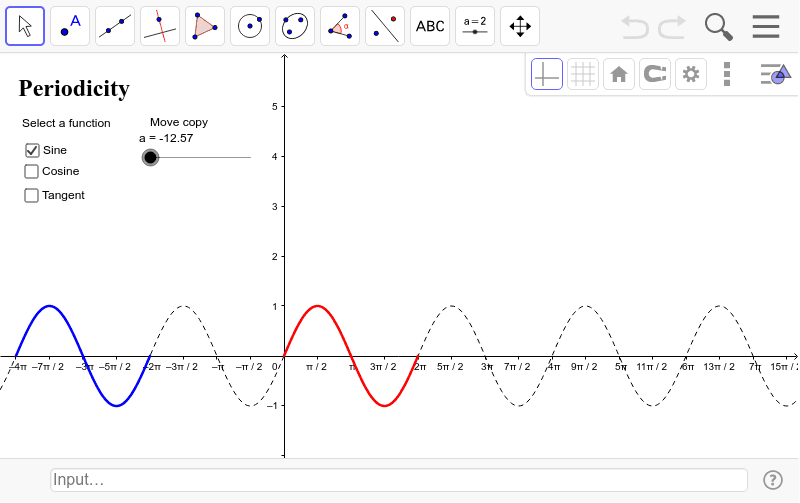 Use the slider to investigate the periodicity of the selected function. Translations and Transformations of a function.